In order to develop a good working design for a performance sailing vessel, one must consider the design of not only the sails, but also the mast, rig and hull. SMAR Azure provides software applications that allow yacht and rig designers to co-operate with sail designers, and vice-versa, to achieve optimal sailing performance. 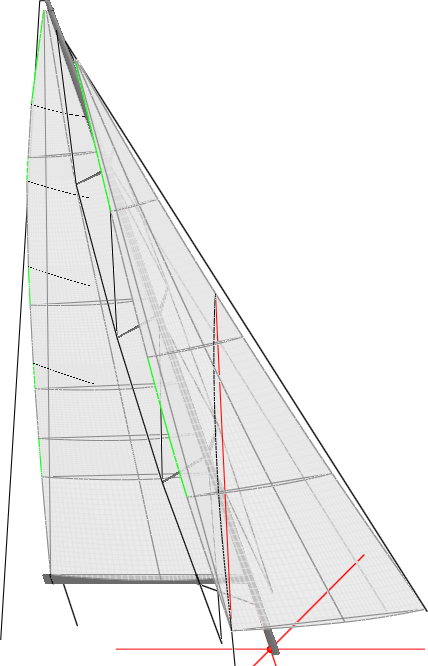 RigEdge is the unique and innovative software enabling rig and yacht designers to rapidly define their unique rig dimensions. The robust analysis tools quickly evaluate the sail loads on the rig and calculate the rig deformation and relative loads. User-friendly interface enabling rig designers to modify the initial design and set tuning and sailing load cases. Graphical plots to make it easy to review the rig performance and compare alternative solutions. Speed Up Rig Design: Drive rig design from concept to definition of rig geometry and loads. RigEdge provides the flexibility to explore rig design concepts in 3D, by assessing performance in various sailing and tuning conditions. “With RigEdge I am able to calculate the rigging loads and the load on the chainplates myself, and make informed choices regarding the construction from the start of the process.